EarthTalk: Why No Cap and Trade in the U.S.? 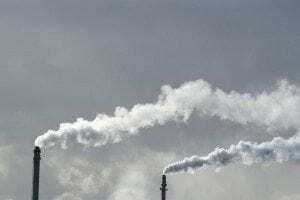 “Cap-and-trade,” whereby big polluters must pay to emit greenhouse gases against a capped total amount that is reduced over time, has been in effect across the European Union (EU) since 2005. This so-called Emissions Trading System (ETS) requires 11,000 of the largest electric and industrial facilities in 28 European countries to participate. Some 45 percent of Europe’s total greenhouse gas emissions are regulated under the system. Proponents say the ETS has succeeded in keeping greenhouse gas emissions in check and making Europe a global leader on climate. The EU reports that, by 2020, emissions from sectors covered by ETS will be 21 percent lower than they were in 2005 and 43 percent lower by 2030. But critics argue that Europe’s reduced emissions may be more due to the global recession than the ETS, and that the cheap availability of allowances has made it easier for companies to pay to burn coal than to switch to cleaner natural gas or invest more in carbon mitigation technologies. Early in 2014 the EU tightened up its system by cutting the number of new allowances it plans to issue over the next three years by a third while simultaneously creating a “market reserve” to absorb extra allowances as needed. Meanwhile, Switzerland, New Zealand, Australia, Kazakhstan and South Korea have each set up their own national cap-and-trade programs to varying degrees of success, while regional versions have popped up within Japan, Canada and the U.S. In 2009, 10 Northeastern states came together to create the Regional Greenhouse Gas Initiative (RGGI), a cap-and-trade system with the goal of reducing regional carbon emissions from the power sector 10 percent from 2009 levels by 2018. Lower emissions than expected over the first five years of the program—thanks to many utilities switching over to cleaner burning and increasingly cheaper natural gas as well as less overall economic output due to the recession—led RGGI to lower its overall annual cap from 165 million to 91 million tons in 2014, with a 2.5 percent reduction every year thereafter until 2020. Analysts expect this rejiggering will drive the price of polluting five times higher than it has been and thus force utilities across the region to seek cleaner, greener alternatives to coal as an electricity feedstock. The other major U.S. cap-and-trade player is California, which launched its own ETS in 2013 with a cap set initially at two percent below 2012 emission levels. The cap will then be reduced three percent a year from 2015-2020. Some 600 facilities are big enough polluters to qualify for participation in the system, which will cover around 85 percent of the state’s total greenhouse gas emissions. Given that California in and of itself is the 12th largest economy in the world, its forward-thinking commitment to cap-and-trade gives hope everywhere to fans of marshalling market forces to bring about environmental change.